Single-family rental investors saw have seen major growth over the last year in terms of income and appreciation in housing markets across the U.S.
Investors that are looking to make the most of their acquisitions need to be wary of cap rates on properties, or the relationship between an investment home's net operating income (rents minus expenses) and the market value of the property. The single-family rental market gained traction as a viable asset class with phenomenal growth in 2015. The homeownership rate fell to its lowest level in nearly five decades during the summer as more and more families and individuals chose to rent. 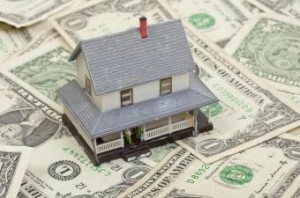 HomeUnion, an online real estate investment management firm enabling value investing in single-family rental properties, identified the best and worst housing markets in the U.S. for single-family rental investors in terms of cap rates. According to the study, Memphis is the most favorable market for single-family rental investors with a cap rate of 7.3 percent, while San Francisco is the least favored market with a cap rate of 2.7 percent.